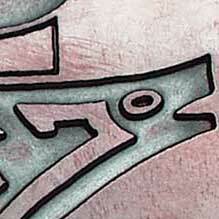 Quality craftsmanship is the hallmark of A & G Engraving. Our courteous sales representatives will be happy to guide you through your project; to answer questions and assist you in achieving the best possible result. We have more than 30 years experience to help guide you from your artwork to the finished product successfully. A & G Engraving prices are well-within the industry standards, offering you an affordable method of producing high-quality custom printed products or jazzy embellished textiles for your customers. We would be pleased for the opportunity to quote your requirements. Please contact us for your personal custom quote.